Scientists from the University of Nottingham, UK have developed a new material that when inserted into infected and weakend tooth, gets tooth’s own stem cells to proliferate and regenerate dentin - the hard, bone-like tissue that makes up the bulk of all teeth. Just like regular fillings, the new material is injected into the tooth and hardened with UV light to block off spaces where bacteria could colonise. Once inside the pulp, it encourages stem cells to grow into dentin. 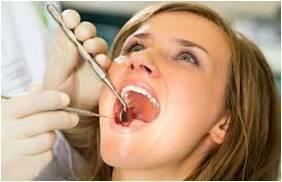 There would be no need of a cap or crown to reduce the chances of the tooth breaking after the surgery. In essence, the biomaterial filling would allow the tooth to heal itself."